As some of you may know, last summer for us was scary. Nathan went through about 8 weeks of hallucinating and not eating. He lost 15 pounds in a month and wound up being hospitalized for a week to get his nutrition back on track. That was the start of many long conversations with Jay and I regarding what the future looked like for Nathan and what we as parents were willing to do for him. Thankfully, after all the medication was out of his system (the one that led to the problems) he got back on track nutritionally. Unfortunately, over winter break we started noticing some eating behaviors that looked very similar to last summer. We started counting calories and watching him carefully. We took him to the doctor to get a weight check and basically were monitoring the situation. Again, this led to more conversations with Jay and I. We stayed up many nights talking about the pros and cons of a feeding tube. The conclusion that we came to was that we will always do whatever we as parents can to help him. We want his quality of life to be the best possible. We felt that he was strong enough and healthy enough to withstand a surgery right now. We did not want to get into a position where we were rushing to save his life. 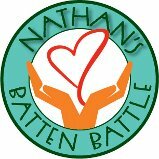 It was by far the hardest and biggest decision we have come to in this journey of Batten disease. On January 23rd Nathan had a gtube placed. The surgery was successful which was a relief. He woke up in a tremendous amount of pain which broke our hearts. They managed to get the pain under control relatively quickly (not fast enough for us). He stayed two nights in the hospital as the pain was still not manageable. Since we have been home, I have been able to change his dressing and learn how to do feedings by the pump. We really felt like this was going to be a long time from now, but after examining all sides of the story, it really was the best time. We were reassured when we checked into the hospital and he had lost 3 pounds in one week. We can’t help but feel like this is another loss, but do feel like we did the right thing. He is staying home from school for the week to heal and has a wonderful nurse taking care of him so that Jay and I are able to work. Thankfully, our managers have been super supportive of our situation as this transpired very quickly. We ask that you pray for Nathan and complete healing. That this can become part of his body and he adjusts to it. So far he has taken it amazingly well, but has asked when it can come out. It breaks my heart to tell him it will always be there. And yet, he smiles. He always seems to smile through so many of his challenges. Nathan and all of you are always in my prayers. I love you all very much! Yes he does, he amazes us every day. We are so blessed. I want all posts regarding Nathan.